It does not work with russians letters. Re: Regular expression in searching file content. I tested this on online site dedicated to check regular expressions and it's working. 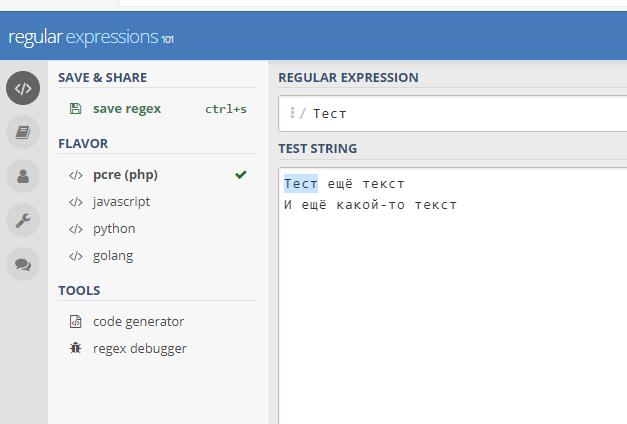 You have to understand that I used the word just for testing, actually I am going to use regular expressions with all oportunities tha they can give, but result wiil be the same. I don't know what but something is broken in free commander in this part. You can check on the site that my expression can work. Timon, I read this and did it before. I can`t understand what do you try to explain me. 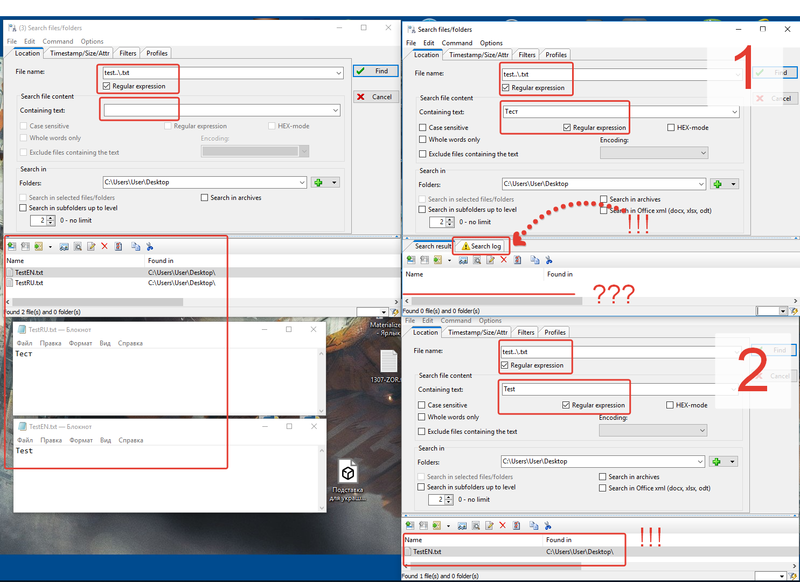 I made simple example with searching among two files with russian and english text. On the picture we can see that with English version all is working quite normal. Why can`t free commander do just the same with Russian text? 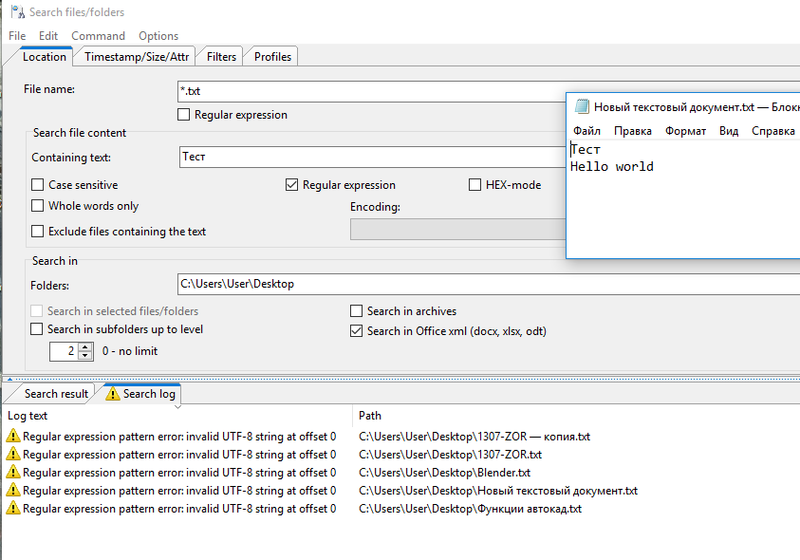 And we have Regular expression pattern error with Russian version only. It does not work for russians text. Could you please try the new release 790. It defently works, thank you Marek.)) I have no idea why I didn't try this version before. I have the same problem with searching files named by russian letters using regular expression. Should I create new topic?